- Fashion Ecstasy on 六月 1, 2018. 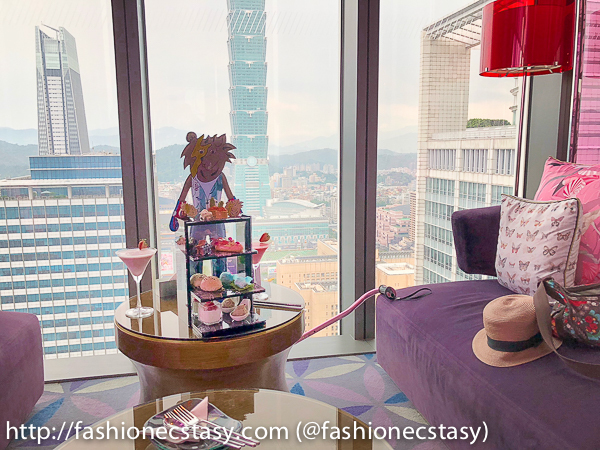 W Hotel Taipei’s new afternoon tea set is a bargain. For just $1800nt (+10% service), we get to taste a tower of savory and sweet treats that comes with 4 freshly made cocktails. Located on the 31st floor, our VIP booth overlooks the Taipei 101 building and the Taipei City skyline. Our server starts us with the freshly made cocktails: Sunlight (raspberry with milk, cream, and tequila) was too heavy for me but The Starlight which is made with red guava and Gin was relatively refreshing and appetizing. Our server brings us our afternoon tea set tower and advises us to eat from the bottom up. 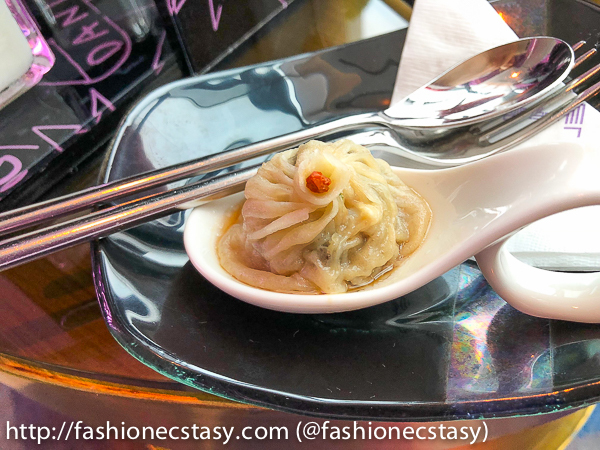 Our savory TASTERS include Almond tofu with Dahu strawberry, Yilan Sanshing scallion pastries, steamed soup dumplings with pork and morel, and butterfly pea flower dumplings with pork and crab meat. Moving up are the desserts: strawberry custard cream eclair has a white-chocolate W logo on top, almond cocoa shortbread with sansia bi luo chun praline mousse is crispy with a soft and moist filling, cheese tart with vanilla, pink guava jelly and pineapple cake with chocolate bear pair well with the guava drink. We easily sit for the whole afternoon and only leave when we have enough photos to put together a time lapse of the view of the Taipei 101 from daytime to night.